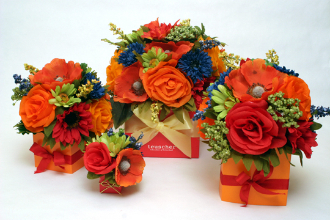 Beautiful and luxourious - these flower gift boxes come in seasonal variations and contain your choice of chocolates. A visual and tasty delight! Color and flower varieties will vary seasonally.